MOSCOW, June 14. /TASS/. Russia has launched R&D work to develop a defensive aids system for modernized Tupolev Tu-160M2 strategic bombers to shield them from all types of missiles, Adviser to the first deputy CEO of Radio-Electronic Technologies Group (KRET) Vladimir Mikheyev told TASS on Wednesday. "We understand that they [the bombers] will have a principally new defensive aids system which is being developed as part of a new R&D effort. It will protect against all possible types of missiles. 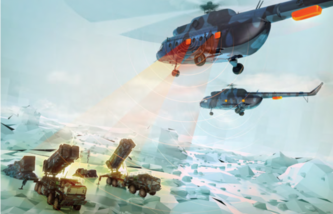 The system will detect targets at a distance of several hundred kilometers," Mikheyev said. These upgraded bombers also need high-precision navigation, he added. "In this area, the requirements for navigation are changed completely. In this sense, everything will be principally new. The aircraft will feature a strapdown inertial navigation system, a new astronavigation system and a whole number of instruments, including a new satellite navigation system," Mikheyev said. A defense system comprises integrated technical means designed to identify and classify a threat of destruction of the protected object, and also to neutralize it. 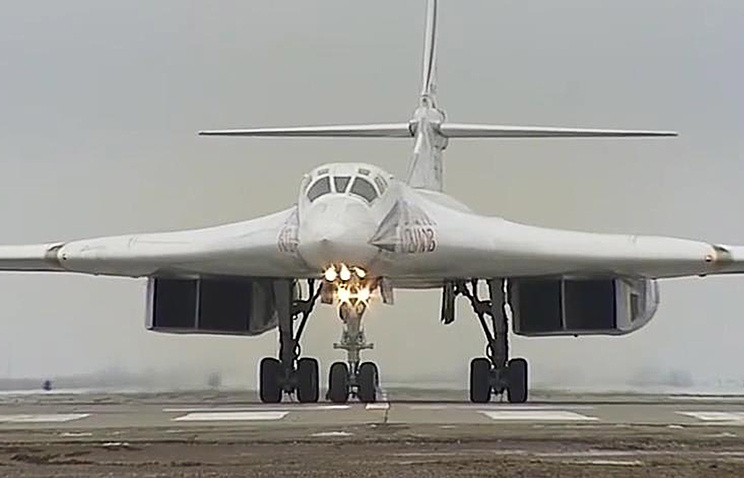 Russian Deputy Defense Minister Yuri Borisov said earlier that Tu-160M2 strategic bombers and the designed Perspective Airborne Complex of Long-Range Aviation (PAK DA) should be maximally unified for radio-electronic equipment. According to Borisov, the Russian industry has been assigned the task to repeatedly use the equipment designed for Tu-160M2 bombers to avoid overlapping costs in the preparation of aircraft production and R&D works. Russian Defense Ministry Army General Sergei Shoigu said at a recent hearing in the upper house of Russia’s parliament that the serial production of the modernized Tu-160M2 strategic missile carrier was planned to be launched after 2021. The idea to restart the production of the Tu-160M2 strategic bomber in its modernized version was put forward by Defense Minister Shoigu in April 2015 during his visit to the Kazan Aviation Enterprise, a subsidiary of Tupolev Aircraft Company. In May that year, Russian President Vladimir Putin gave instructions to restart the production of these bombers. In October 2016, Deputy Defense Minister Borisov said that 50 such aircraft were planned for production so far.